True, that he's no Prince Charming…but he is pretty cute covered in sparrows! The tale as old as time is taking a wintery stroll! From Disney's Beauty and the Beast, Beast covered up for the snow and covered in little birds! 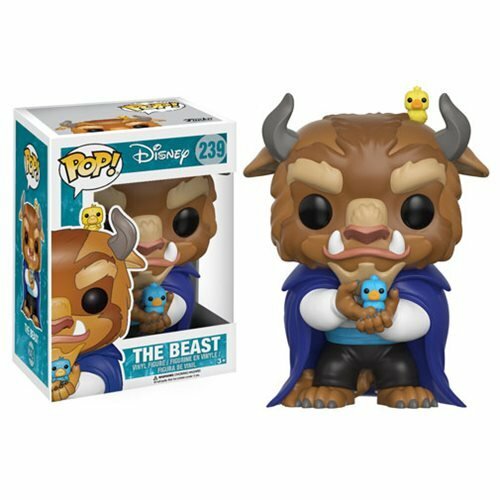 Measuring approximately 3 3/4-inches tall, the Beauty and the Beast The Beast Pop! Vinyl Figure comes packaged in a window display box. Ages 3 and up.